As advertised ACCT Teenage Youth Club has moved from a fortnightly session to a weekly one. We will be welcoming new potential members, parents and carers to take a look around the setting, see what kind of activities we offer and meet our staff. If you are a member and think your young person might benefit from attending or know someone who might be interested in attended please let them know about the event. We can post flyers and letters out to any organisations that might be interested. Annual Raffle – We need prizes! ACCT are once again gathering quality prizes for our annual raffle, if you think your employers or local businesses could help support ACCT by donating a prize please contact me via the office with further details so we can approach them officially or send them the following request. We will post further details once we are ready to launch and start selling tickets. Please enquire at your school’s or places of work if it would be possible to promote the raffle there and sell tickets. 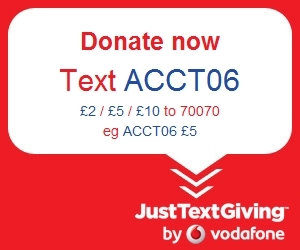 ACCT is a parent-led charitable organisation, founded in 2006, which supports children and families affected by Asperger’s syndrome, Autism and other related conditions based in Sheffield. We run a weekly children’s club ‘ACCTivate’ for up to 40 children aged 1-12 and a weekly Youth Club for up to 30 teenagers. We also provide weekly sports activities for children, family day trips, family swimming & other outings. We host a weekly parent drop-in session alongside ACCTivate, an online support group and monthly meetings for parents and carers featuring professional speakers offering advice. We are a local authority registered provider of short breaks for children and young people. ACCT supports over 300 families across the city thanks to funding bids, local fundraisers and generous donations. “Autism is a lifelong developmental disability that affects how a person communicates with, and relates to, other people. It also affects how they make sense of the world around them. We hope to raise funds to continue our activities by selling tickets over the Christmas period for our 4th annual raffle. We are seeking donations of high quality prizes, cash prizes or vouchers from local traders and businesses. We hope you will consider supporting ACCT this year so we can continue to offer support to so many families across the city. Those who generously donate our top three prizes will be named on the tickets & posters. All contributors will be listed on our websitehttp://www.acctsheffield.org.uk/. Our raffle will be drawn at our parents’ meeting at St Mary’s Church & Community Centre, Bramall Lane, Sheffield, S2 4QZ on the 14th of January 2015 *. Please respond if you can help in any way by October 20th (our printing deadline) to be considered for listing on the tickets. Fundraiser, Asperger’s Children & Carers Together. *Some prizes may be used for future fundraising or smaller raffles if unsuitable. Donate to ACCT as you shop! Register now! Members Sponsored Swim – please donate!